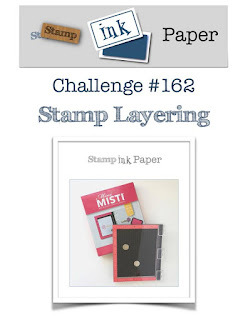 Tina's Crop Shop: Stamp, Ink, Paper #162 Stamp Layering with Concord & 9th Hi There Bear! Stamp, Ink, Paper #162 Stamp Layering with Concord & 9th Hi There Bear! We're baaaaaacccckkkk! Well Stamp, Ink, Paper is! We finally took care of the technical difficulties to get back up and running! What a fun challenge we have this week.... Stamp Layering! Sometimes you need a quick card and Concord & 9th Hi There Bear really is a good choice for some quick stamp layering! I don't know what it is about bears but I just love them.. brown bears, black bears, panda bears.. you name the bear, I love them! 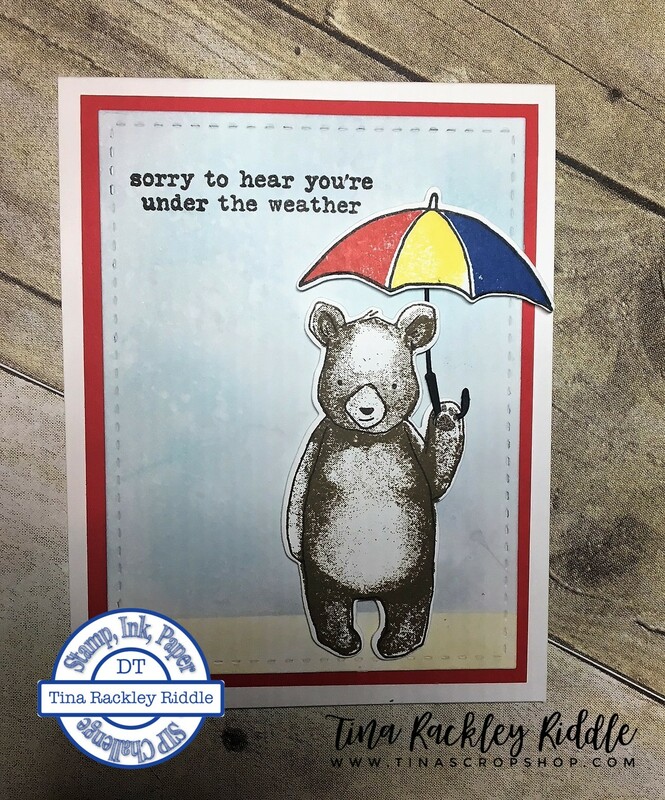 I think this Hi There Bear bundle is an adorable set to use for a quick get well card. The bear uses stamp layering as does the umbrella on this one. I did just a little quick ink blending with distress inks for the background, stamped the sentiment, and added the stamp layered and die-cut bear and umbrella to finish it off. Sometimes the simple things in life really are the best! Thanks so much for stopping by! SIP #164 - Use Your Scraps!! !